Now and then, on these pages, you may have noticed that some attractions are run by the National Trust or English Heritage and wondered what they were. One is a charity, and the other is a government department. Both, along with their equivalent organizations in Scotland and Wales, help to preserve much of the character of the modern United Kingdom and the fabric of thousands of attractions. Though they have different responsibilities, from a visitor's point of view a lot of what they do can seem to overlap. This rundown should explain a bit more about them and their roles. 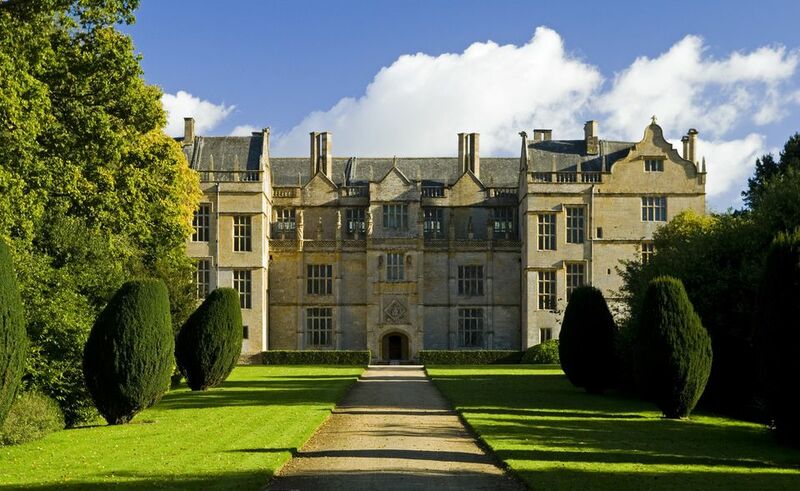 The National Trust was founded by three Victorian preservationists in 1894 and empowered by an act of Parliament in 1907 to acquire, hold and maintain property in England, Wales and Northern Ireland for the benefit of the nation. A conservation charity and membership organization, the National Trust protects historic places and green spaces, "opening them up forever, for everyone." Because of its special status, the National Trust is able to acquire properties given by their owners in lieu of taxes. It is not unusual for families to give their homes and estates to the National Trust while retaining the right to continue living in them or to control aspects of their public presentation. Waddesdon Manor, with its ties to the Rothschild family, and Agatha Christie's summer house, Greenway, are examples of National Trust properties which still have involvement by the families of the original owners. That's why some National Trust properties are only open to the public in part, or on certain days. 129 properties including castles, palaces, country houses, famous battle sites, gardens and birthplaces of famous Scots. it maintains the government's official roll of listed buildings and advises local and national planning authorities on listing applications. Once listed, properties are protected from inappropriate change by law and may be eligible for conservation grants. it looks after more than 400 historic sites and ancient monuments that are open to the public. it awards grants for the conservation of historic properties. In Wales, the role of listing historic properties, awarding grants for their conservation and managing some of them is held by Cadw, a government department. And in Scotland, a similar function is performed by Historic Scotland, a branch of the Scottish government. English Heritage and its equivalent departments in Wales and Scotland look after older properties directly connected to political history such as castles, forts, and famous battlefields. These organizations also look after listed ancient monuments like Stonehenge and Silbury Hill. The National Trust and the National Trust for Scotland look after buildings that are connected with social history such as stately homes,important art collections, gardens and landscaped gardens as well as countryside and coastal open spaces and wildlife reserves. The Trusts maintain a sort of public ownership. They own the properties they manage and hold them in trust for the public. In some circumstances, the families connected with National Trust properties may retain the right to live in them. The properties are open to the public, at least in part, though they may be closed for part of the year for conservation and repairs. Though English Heritage, Cadw and Historic Scotland own some of the properties they manage, they are listing and grant-making bodies. Sometimes grants are awarded to private owners on condition that they open their property to the public. Lulworth Castle, for example, is a private estate restored with English Heritage funds and thus open to visitors. English Heritage properties range from impressive castles to barely recognizable ruins. A large proportion is free to visit without admission charge and, if safe, open at any reasonable time. The National Trust almost always charges admissions fee (though countryside and seashore are usually free for visitors) and visiting times are usually limited and vary throughout the year. To add to the confusion, there are hundreds of exceptions to which group is responsible for what. In some cases, both the trust and the heritage department, National Trust and English Heritage, may be responsible for different parts of the same property or may manage whole properties for each other. Historic Scotland membership categories and prices.